Sorry I didn't get to visit with you last week - we traveled to celebrate a vow renewal of some dear friends of ours! And I didn't get to write yesterday because I had a day jam packed with appointments for the kids! (Why do I plan everything on the same day??) Anyway I hope today finds you well! We have a few new things to share with you! 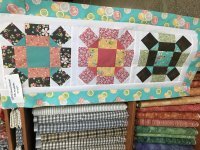 If you haven't checked out this gorgeous BOM - we have some blocks hanging up in the store! Come by and see them - these fabrics are absolutely stunning! We have very limited kits left! If you are interested be sure to let us know! We are also ready to launch our next Block of the Month Program! This beautiful design by Wing & a Prayer is a stunning! 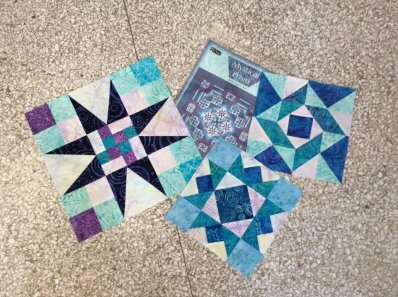 Made with batiks ranging from purple to blue! Space is limited! 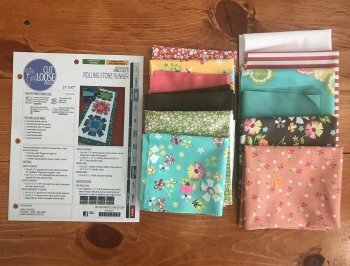 Be sure to get on the list to sew with us today! Call us today 308-344-9389 or stop in and see us! 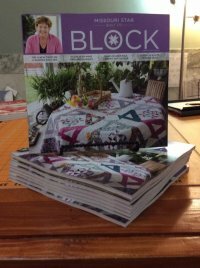 The latest issue of BLOCK magazine is here! 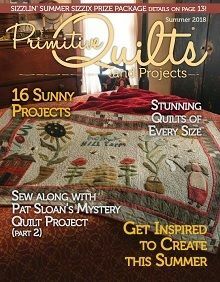 This spring issue is jam packed with fun quilts and projects! 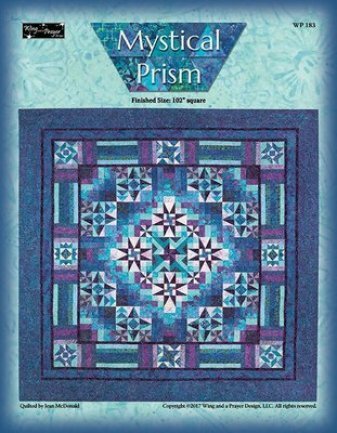 We've also got the latest from Primitive Quilts and Projects! How stunning is this cover project? We've also kitted up a fun Spring/Summer table runner called Rolling Stone! Finishing at 21" x 47" - this fun project will add some color to any space! Don't these fabrics make you feel Spring?? Check it out - we have the sample made up! 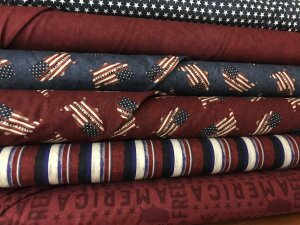 For our patriotic fans - we've got a fabulous NEW line in for you! Check out Land That I Love...just in time to think about a patriotic project! 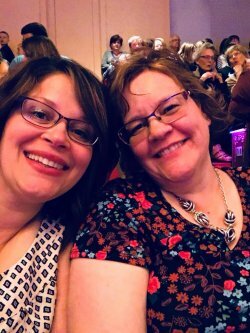 Mom and I had a great girls evening out listening to Scotty McCreery last night! If you like country music, check out his new album! 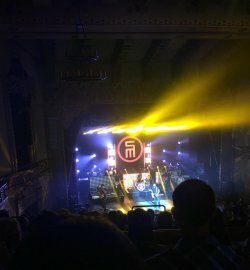 It would make great sewing music! Have a fabulous rest of your weekend!